Among the businesses that have left recently is the Rattlesnake Bar and Grill. Eataly, UnderArmour, and Tesla have taken Boylston Street by storm, setting records for retail rents in the city. But down the street, one of the most prominent blocks in the Back Bay still feels downright desolate. Instead of a bustling thoroughfare, the stretch of Boylston Street between Arlington and Berkeley streets is a sea of empty storefronts. In the past year alone, the block has lost two of its longstanding tenants — the Rattlesnake Bar and Grill and the Tannery Outlet shoe store. The highly visible corner building at 330 Boylston, which once housed the flagship location of jeweler Shreve, Crump, and Low, has been empty for nearly a decade. A few doors down, the seasonal Halloween City’s jack-o-lantern sign grins above a for-lease sign. Elsewhere on the block, a RadioShack, a Jos. A. Bank, and Cosi have recently shuttered. It’s tempting to look at the block as a microcosm of the retail industry — the encroachment of online shopping and mergers that have led to a cascade of store closings. But real estate agents, business owners, and neighbors say the truth is more complicated. They point to two owners who have bought up several buildings along the block and have been slow to develop those sites, thus allowing big retail spaces to remain empty. That has had a ripple effect, scaring off other retailers who might otherwise open nearby. 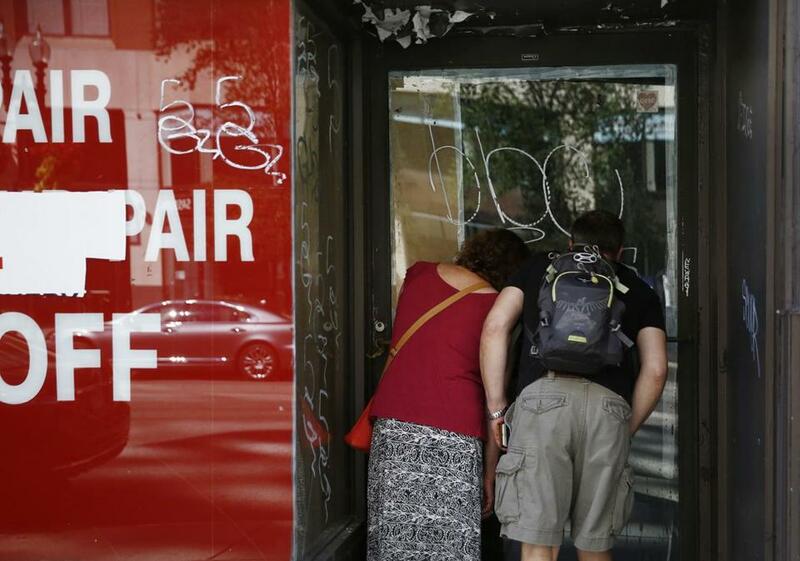 The vacant storefronts have become a source of frustration for real estate brokers, who point out that the block should be an obvious destination for both luxury brands and the people who love them. Newbury Street’s prominence as Boston’s version of Rodeo Drive in Los Angeles or Madison Avenue in New York is shifting as high-end storefronts have clustered at the foot of the Prudential Center, said Brendan Carroll of Perry Brokerage, the real estate group that represents the Berkeley building on the corner of Boylston and Berkeley streets. The block’s potential is a no-brainer, he said. Several storefronts on Boylston Street between Arlington and Berkeley streets are empty. The appeal comes in part from the existing infrastructure. Newbury Street has split-level storefronts, while Boylston Street has large, street-level glass windows perfect for showcasing luxury goods. The stretch between Arlington and Berkeley could easily draw customers snagging handbags around the corner at Chanel’s Newbury Street store, said Andrea DeSimone an agent with CBRE/New England, and it’s just a stone’s throw from the collection of luxe labels up the street at the Heritage on the Garden building. And yet, she said, brands have shown hesitation to venture onto the block. “It’s almost like crossing Arlington Street seems insurmountable,” she said. 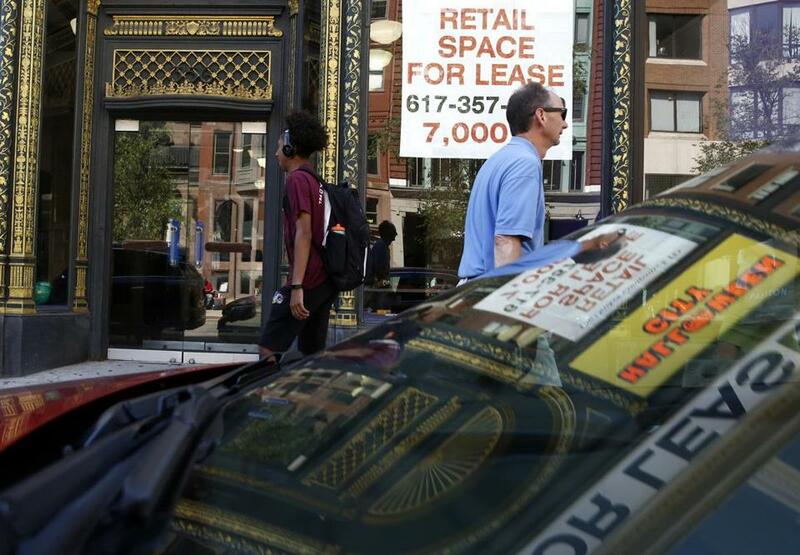 “Given its location, it should have some of the best retail in the city of Boston,” said Jason Weissman, the founder of Boston Realty Advisors. The problem, he said, is that this section of Boylston lacks institutional ownership. Newbury Street’s buildings are primarily operated by two large real estate firms, Jamestown and UrbanMeritage, which structure deals to curate storefronts for the right retail mix. Boylston Street is less organized. On the Boylston block, the two most influential owners are Ron Druker, of the Druker Company, and Hicham Ali “Sam” Hassan, who owns the Tannery shoe store. Druker’s properties on the block include the corner Shreve lot and three adjacent buildings, and he has had approval to develop the site since 2008. Hassan owns six buildings farther down the street. They include one on the north side of the street that houses the Pompanoosuc Mills furniture store and the empty sites that housed the former Tannery Outlet and Rattlesnake restaurant. While the two owners have very different approaches, the long-empty storefronts create an aura of uncertainty. Druker, for his part, acknowledges both the promise of the Boylston block and the role he plays in its stasis. The longtime developer intends to construct a $180 million, 250,000-square-foot building at the corner of Arlington and Boylston but says he wants an office tenant to sign onto the project before he breaks ground. “We are in constant conversations with tenants and I’m not going to build it on spec,” he said. People peered into a storefront once occupied by The Tannery. Meg Mainzer-Cohen, of the Back Bay Neighborhood Association, credits Druker for keeping stores like the Paper Source open, which drives some foot traffic along the block. Meanwhile, the restaurateur Gordon Wilcox, who runs the Parish Cafe on the block and owned the Rattlesnake Bar and Grill until it closed late last year, complained that Hassan has done little to maintain his buildings and effectively pushed the Rattlesnake out of business by passing along the building’s tax bill to the tune of $50,000 a year. Hassan did not respond to the claims. “It’s the greatest real estate market in the history of the city and that block’s empty,” Wilcox said. Hassan declined to comment about the current status of the buildings or his plans for development. He recently closed both the Tannery storefront in Harvard Square and the Tannery Outlet on Boylston Street and filed for Chapter 7 bankruptcy for two business entities affiliated with his retail operations last month. Employees of the Tannery store at 711 Boylston said that the location will stay open. Raj Dhanda, who owns the glass tower sandwiched between Hassan’s properties, said the empty storefronts have directly affected sales at his Neena’s Lighting store. Dhanda said that Hassan has approached him about purchasing the Neena’s building and that he’s countered by proposing a joint development of the sites. But no deal has been made. So Dhanda has watched revenues drop over 25 percent in the past few years. “Traffic is way down,” he said. It is also difficult for the brokers seeking to fill slots elsewhere on the street. Jonathan Martin, a realtor with Newmark Knight Frank, said Equity Office’s revamped 399 Boylston Street lobby draws in potential clients, but they quickly grow wary of opening across the way from vacant storefronts. There may soon be some signs of life. 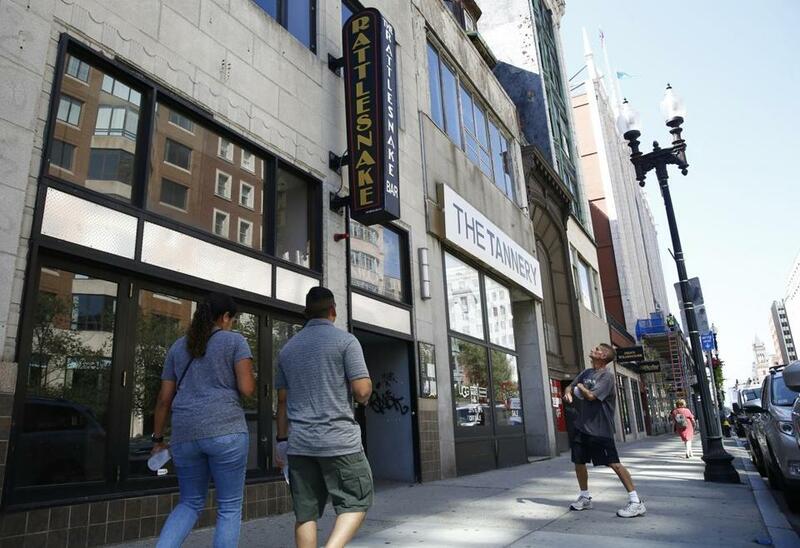 Martin said Tatte Bakery has signed a lease in 399 Boylston, and others will soon follow. And Men’s Wearhouse will soon move into 376 Bolyston St. DeSimone hopes it will be a catalyst for other retailers to follow. “You need to have one large luxury retailer take the plunge and join that block and it will fall into place,” she said. Tim Logan of the Globe staff contributed to this report. Janelle Nanos can be reached at janelle.nanos@globe.com. Follow her on Twitter @JanelleNanos.